"We tell ourselves stories in order to live." Netflix has unveiled an official trailer for a documentary titled Joan Didion: The Center Will Not Hold, profiling the life and work of literary icon Joan Didion, who is currently still alive at 82 years old. Directed by actor Griffin Dunne, who is Didion's nephew, the film dives deep into the 50-year career of this acclaimed and beloved writer, exploring her style and desires. She was most prominent in the 1960s and 70s counterculture movement, publishing a number of best-selling books and magazine essays. She also wrote a few screenplays and wrote about various topics from politics and the drug culture to the Charles Manson murders and the Patty Hearst trial. This doc seems to go into her personal life as well as her career, profiling the talented, inspiring woman in all her facets. Take a look. Witness a portrait of one of the most influential American writers of the 20th century. Literary icon Joan Didion reflects on her remarkable career and personal struggles in this intimate documentary directed by her nephew, Griffin Dunne. 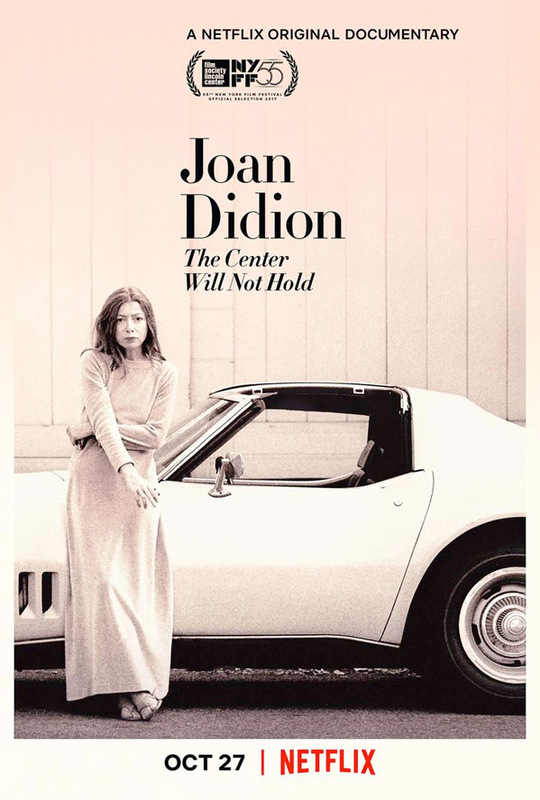 Joan Didion: The Center Will Not Hold is directed by American actor-turned-filmmaker Griffin Dunne, director of the feature films The Accidental Husband, Fierce People, Practical Magic, and Addicted to Love previously. This will premiere at the New York Film Festival this week, and also plays at a few other film festivals in October. Netflix will then release Joan Didion: The Center Will Not Hold streaming exclusively starting October 27th at the end of the month. Anyone want to see this doc?